The IIPP-led Mission-Oriented Innovation Network launched this week, beginning the process of co-creating a new policy toolkit with its founding partners. 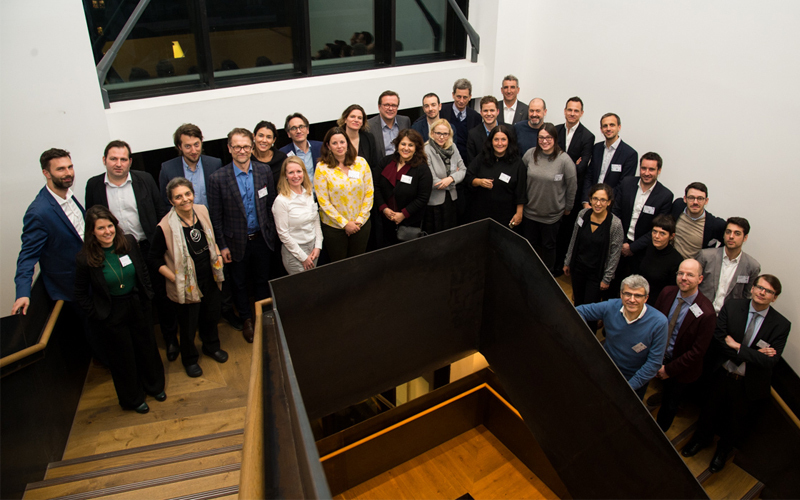 The launch event of the Mission-Oriented Innovation Network on Monday saw representatives from global organisations come together to consider the challenges and opportunities of stepping outside of the existing policy-making framework. The MOIN Founding Partners are a select group of leaders and key members of teams from a diverse set of public organisations—from public banks, to innovation agencies, to strategic design units. They joined for a day of exploring how dynamic concepts of public purpose and public value—at the heart of IIPP—can be applied to creating more inclusive and sustainable economies. The launch event consisted of presentations and workshops led by path-breaking innovators from 10 countries with experience in creating, capturing and nurturing public value. The ambition for MOIN is to bring public purpose and innovation into the centre of government machinery, creating a framework for dynamic capabilities in the public sector, and developing a corresponding policy toolkit which allows public value to be nurtured and evaluated. The emphasis of the network is on developing new organisational capacities and capabilities needed within public organisations in order to enable them to set missions collaboratively, to welcome the exploration and experimentation process necessary for multiple bottom up solutions. MOIN aims to contribute directly to policy development, encouraging a mission-oriented approach, which needs cross-sectoral, cross actor, and interdisciplinary collaboration to solve grand challenges. This approach, pioneered by IIPP Director Prof Mariana Mazzucato, transforms intangible societal goals into concrete 'missions', which have clear targets and can be solved through bottom up collaborations. More can be read on mission-oriented innovation in the first IIPP Working Paper Mission-Oriented Innovation Policy: Challenges and Opportunities and Prof Mazzucato's recently published report for the European Commission Mission-Oriented Research & Innovation in the European Union. Mikko Kosonen, President of Finnish innovation fund Sitra, commented on the importance of the mission-oriented direction of the new Network: "The public sector has to become more proactive in addressing cross-sectoral societal challenges, and being driven by missions is the ideal approach." The work of MOIN will inform the development of IIPP's new Masters in Public Administration, which will run from September 2019 and focus on building capacity to innovate in public sector organisations. MOIN will hold regular meetings with partners and form multi- and bilateral research and teaching collaborations. For more information and updates, and to see the full list of the founding partners of MOIN, visit the partnerships section of our website. The Mission-Oriented Innovation Network brings together leading global policy-making institutions, to share the challenges and opportunities they face when trying to create and nurture public value. A problem-solving approach to fuel innovation-led growth by Mariana Mazzzucato.